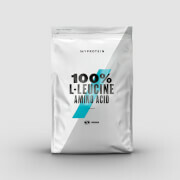 Of the 9 essential amino acids iBCAA includes the most important 3: Leucine, Isoleucine and Valine. This powder is Instantised and therefore water soluble. Who is iBCAA suitable for? iBCAA can be taken before and after your workouts. iBCAA can also be taken during your workout. Add 2 MP small scoops (5g) to your preferred amount of water or fruit juice and consume immediately. BCAA (Leucine:Isoleucine:Valine), Emulsifier (Soy Lecithin), Citric Acid (berry blast flavour only), colorings (Beetroot Red [berry blast flavour only], Anthocyanin [berry blast flavour only]), Flavouring (flavoured options only), Sweetener (Sucralose® [flavoured options only]). I haven't purchased from any other company in quit sometime. 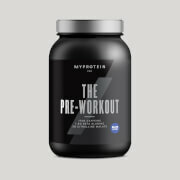 Myprotein products are easy to mix, inexpensive and taste great! I recommend to anyone who uses supps. Great product, would be better if there is a better BCAA profile and flavoring.